A large framed in-house record award presented by Epic Records United Kingdom "For outstanding achievement of consecutive number 1 singles in the UK with 'You Are Not Alone' & 'Earth Song.'" 1984 American Music Award presented to Michael with plaque reading "Favorite Video Pop/Rock 'Beat It' Michael Jackson". A small gold plaque on the base reads "8411". 1993 American Music Award presented to Michael with plaque reading "Favorite Album Pop/Rock 'Dangerous' Michael Jackson 1993". 1980 American Music Award presented to Michael with plaque reading "Favorite Single-Soul Music Don't Stop Til You Get Enough". 1980 American Music award on black base presented to Michael for "Favorite Male Vocalist Soul Music". A small gold plaque on the base reads "7903". 1980 American Music Award presented to Michael for "Favorite Album-Soul Music Off The Wall". 1984 American Music Award on black base, presented to Michael for "Favorite Album Soul "Thriller". A small gold plaque on base reads "8420". 1986 American Music Award on gold base presented to Michael with a plaque reading "...for his efforts in composing 'We Are The World' which through the universal language of music has done so much to improve the human condition, January 27, 1986". 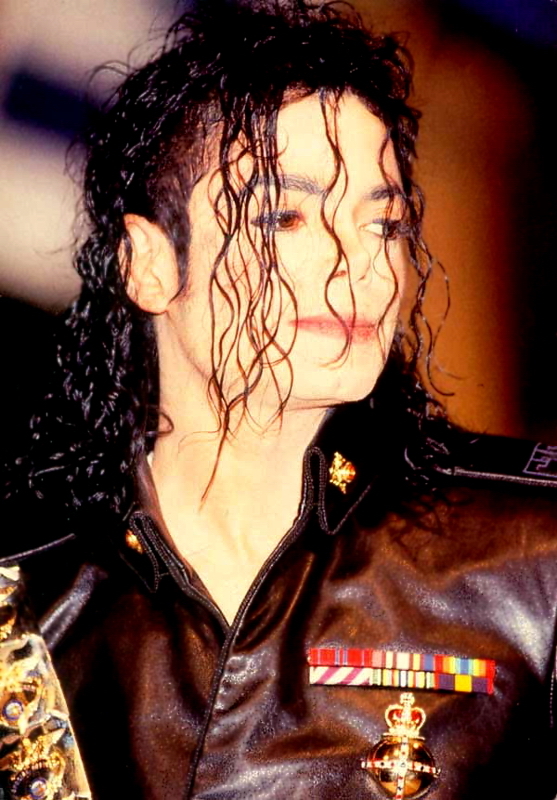 1986 American Music Award for "We Are The World", number 2 of 2 awards that were presented to Michael. Michael himself gifted this award along with a handwritten note to an ill child at Neverland in 1995. ASCAP Award (The American Society of Composers, Authors And Publishers) presented to Michael "As Artist Of The Hit Song 'Rock With You.'" BAD Swiss Award presented to Michael for the sale of 100.000 copies in Switzerland. 1984 Billboard Video Music Award for "Making Michael Jackson's Thriller Best Long Form Video". 1984 Billboard Video Music Award presented to Michael for "Best Performance Male "Thriller". Special Citation of Achievement presented to Michael by BMI in recognition "of the great national popularity as measured by over 1 million broadcast performances attained by I Just Can't Stop Loving You". Special Citation of Achievement presented to Michael by BMI in recognition "of the great national popularity as measured by over 1 million broadcast performances attained by The Girl Is Mine". Special Citation of Achievement presented to Michael by BMI in recognition "of the great national popularity as measured by broadcast performances" for the song Black Or White. Special Citation of Achievement presented to Michael by BMI in recognition "of the great national popularity as measured by broadcast performances" for the song Remember The Time. 1995 Bravo Gold Otto Award with plaque reading "Bravo Goldener Sieger der Otto-Wahl 1995 Michael Jackson." BRE award presented to Michael Jackson for Outstanding Achievement in Pop, Rock & Soul in 1989. Atlanta International Film Festival Bronze Medal Award presented to The Jacksons in 1984 for their Pepsi Commercials.